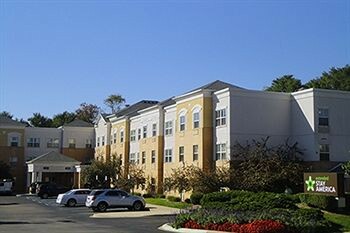 Property Location With a stay at Extended Stay America - Detroit - Novi - Orchard Hill Place in Novi (Novi - Livonia), you&apos;ll be close to Laurel Park Place. This hotel is within the vicinity of Oasis Golf Center and Twelve Oaks Mall.Rooms Make yourself at home in one of the 86 guestrooms, featuring kitchens with refrigerators and microwaves. Your room comes with a pillowtop bed, and all rooms are furnished with sofa beds. Complimentary wireless Internet access keeps you connected, and DVD players are provided for your entertainment. Conveniences include desks and separate sitting areas, as well as phones with free local calls.Rec, Spa, Premium Amenities Enjoy the recreation opportunities such as a fitness center or make use of other amenities including complimentary wireless Internet access.Dining A complimentary continental breakfast is included.Business, Other Amenities Featured amenities include a 24-hour front desk, laundry facilities, and a safe deposit box at the front desk. Free self parking is available onsite.